SPRECKELSVILLE — It’s too early, even in the strong government union state of Hawaii, to see the impacts of a Supreme Court ruling that allowed government workers opt out of union fees for collective bargaining services, said an attorney who represented the winning side in the ruling. “There hasn’t been really enough time to determine how many people are going to choose to be union members or not pay fees. It’s still very early,” said Jacob Huebert, an attorney who represented Mark Janus, an Illinois state government worker at the center of the ruling. Janus argued that everything that unions do, including bargaining with the state, is political and that employees should not be forced to pay for those activities. In June, a divided Supreme Court ruled 5-4 in Janus’ favor with the conservative majority carrying the day. The ruling overturned a 41-year-old decision that had allowed states to require public employees to pay some fees to unions that represent them, even if the workers chose not to join. 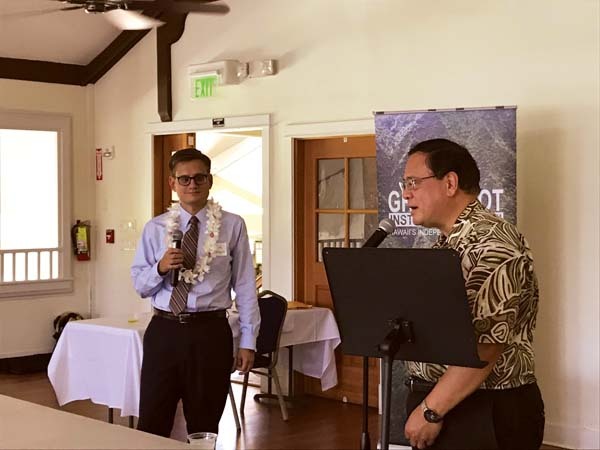 Huebert spoke at a Grassroot Institute of Hawaii event, “The Aftermath of ‘Janus’ ” Tuesday at the Maui County Club with about 30 people in attendance. A day earlier, Huebert spoke on Oahu on the same subject at a Grassroot Institute-sponsored event. At that event, Tony Gill, a labor attorney for the University of Hawaii Professional Assembly, said there have been no mass resignations in Hawaii, according to media reports. Some of Hawaii’s larger public worker unions concurred with Gill’s assessment Tuesday and said they had been preparing for the decision and had ramped up efforts to educate and retain members. There are 1,494 HSTA members on Maui. Randy Perreira, executive director of the Hawaii Government Employees Association, the state’s largest union, expressed similar sentiments. HGEA represents 2,700 members on Maui. HGEA communications officer Caroline Slyuter said Tuesday that membership overall has remained at 96 percent of eligible members. In the past three years, the union has been in touch with workers and even signed on those who didn’t realize they were not in the union, she said. 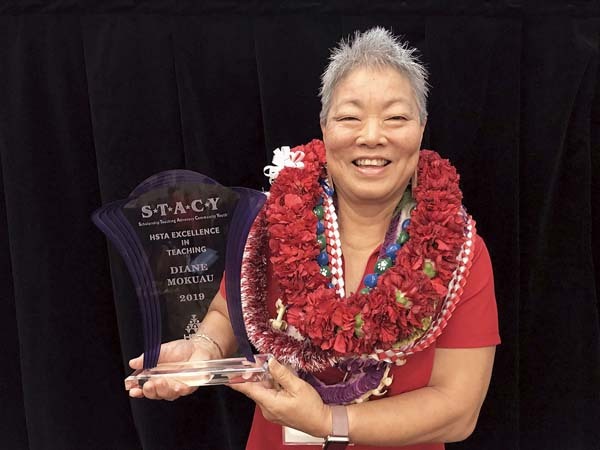 Keli’i Akina, president and chief executive officer of the Grassroot Institute of Hawaii, serving as a moderator, talked about Hawaii’s values and history of having a group take care of workers. He noted a slogan, “Give a Union a Shaka,” as one of the campaigns that discussed how unions have helped workers with benefits over the years. Akina did not name the union, but the slogan is used in commercials featuring HGEA union workers. He asked Huebert whether unions in states that have allowed members to opt out have suffered from letting workers do so, even prior to the Janus decision. Huebert said he felt unions still would be able to obtain funding, even with the choice of members to opt out. But public worker unions would have to be responsible to members and “make a good case” why workers should support the union. In the spring, Gov. David Ige signed House Bill 1725, which gives a public worker an annual window of 30 days before his or her union membership anniversary date to opt out of union dues. Huebert said he thinks the law will be found unconstitutional. He said it would be one thing to voluntarily enter a contract and to pay dues every month, like for a gym membership, but in this case the law puts an “unreasonable burden” on members to opt out. He explained that the Janus case involves workers paying for unions that are bargaining with the government, possibly asking for more money for salaries and maybe more pension benefits, which could lead to higher taxes. Huebert called the payments “political speech,” which Janus disagreed with and did not want to pay for, saying it violated his First Amendment rights. But in private business, when a union bargains over salaries and benefits, it is dealing with a private company and of matters that only relate to the company and the employees, not the general public, Huebert explained.